Woot! has been around forever. It is a great community to check out if you are looking for super cheap deals on a daily basis. Woot! has gone through many changes in the past few years but it is still a very exciting site to keep up with. 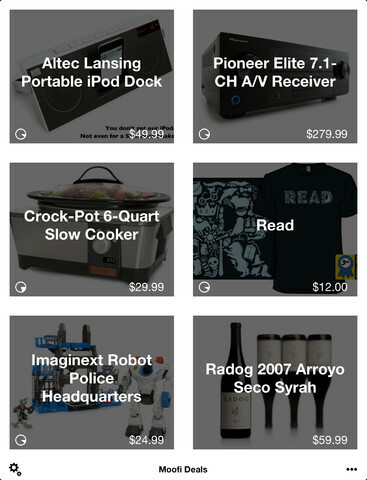 Wootie is a fun little app that makes keeping up with Woot Deals on your iPad more convenient. Wootie shows you the current Woot deals at a glance. 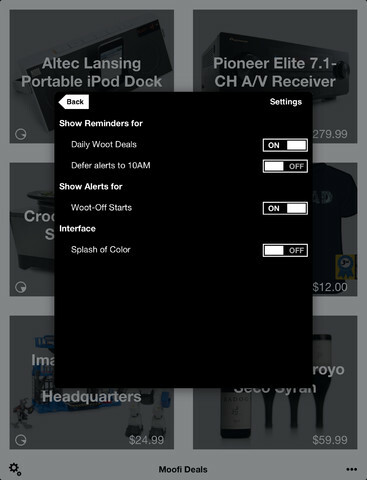 It lets you set daily reminders when new products are available. It offers push notifications for Woot-offs. The app has a full inline image browser so you can keep up with the latest deals more easily. Wootie lets you choose reminder and alert options for it too. Wootie makes keeping up with Woot! deals a lot more convenient. If you are addicted to Woot!, you are going to love playing around with this app.